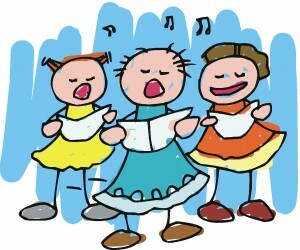 In Judaism, every holiday (including the weekly Sabbath celebration) has its own special songs. Hanukkah is no exception! 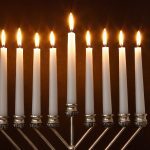 Because it is such a festive and joyous holiday, there are literally dozens of Hanukkah songs out there, from ancient ones to very modern ones. Here are some of the most popular Hanukkah songs! 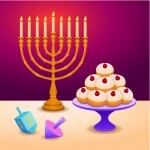 The most well-known Hanukkah songs are actually the blessings sung while lighting the Hanukkah candles! In Jewish tradition, blessings are often sung, rather than spoken, so these blessings have become the most well-known songs out there. Blessed are You, L-rd our G-d, King of the universe, who sanctified us with His commandments and commanded us to kindle the Hanukkah lights. Barukh Atah Ado-noi Elo-heinu melech ha’olam, asher kid’shanu bi-mitzvo-sav, Vi-tzee-vanu li-had-leek ner shel Hanukkah. Blessed are You, L-rd our G-d, King of the universe, who performed wondrous miracles for our ancestors, in those days, at this moment. Barukh Atah Ado-noi Elo-heinu melech ha’olam, she’asah nisim l’avotenu bayamim hahem baz’man hazeh. Blessed are You, L-rd our G-d, King of the universe, who has kept us alive, sustained us, and brought us to this moment. Barukh Atah Ado-noi Elo-heinu melech ha’olam, sheheḥehyanu, v’kiy’manu, v’higianu lazman hazeh. O dreidel I shall play. In Israel, the Hanukkah songs that are popular are slightly different from other places. S’vivon (or “Sevivon”) is probably the most well-known Hanukkah song in Israel. It is not normally sung in English, only Hebrew. (Although here is a translation so you can more easily understand.) The first stanza is standard, but the second stanza changes depending on whether or not you are in Israel. 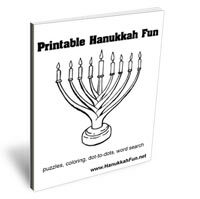 There are many modern songs about Hanukkah that have become popular and even get played on the radio. One of these is Adam Sandler’s “The Chanukah Song,” which has many versions and is about Jewish children celebrating Hanukkah instead of Christmas. Another well-known song is “The Eight Days of Hanukkah” by Orrin Hatch and Madeline Stone. “Hanukkah Hey Ya” is a spoof of OutKast’s 2003 song “Hey Ya,” which Eric Schwartz (an American comedian) made. It became very popular after a group called Nefesh B’Nefesh organized a flash mob on Jerusalem’s popular Ben Yehuda street and filmed it. There are many other Hanukkah songs out there, but these are the most popular and well-known ones. This Hanukkah, you will be prepared with lyrics to sing with family and friends about all the miracles that occurred!